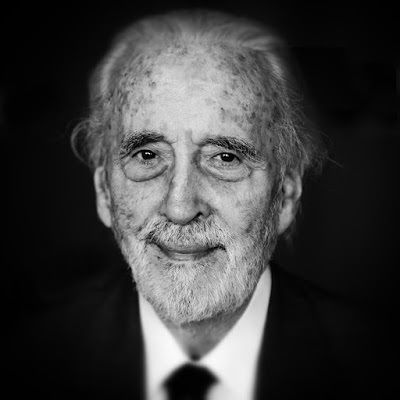 Christopher Lee, an actor known for his roles in Dracula, the Lord of the Rings and The Hobbit trilogies, and Star Wars, passed away on June 7th at the age of 93. In addition to a 70-year film career, Lee was also a musician and made two heavy metal albums. He received many accolades, including being knighted in 2009. He was well-known for his roles in the horror genre and his ability to play a villain; however, Christopher Lee was beloved by many. Thousands have posted tributes to the beloved actor, including co-stars and dear friends. A few years ago I had the honour of working with Christopher Lee. He was, by all accounts, a legend. He's in Valhalla now. RIP, Christopher Lee. Thank you for giving the gift of your acting to so many. You will not be forgotten. I was so sad when I heard this yesterday. He was an incredible person! He was definitely an awesome actor; I think I'll remember him best for playing Scaramanga and Saruman. He will be missed! He was an incredible actor and an inspiring person. No one could have done a better job of portraying Saruman than Sir Christopher Lee. I'm sad we won't be seeing him in any more films, he was a legend.